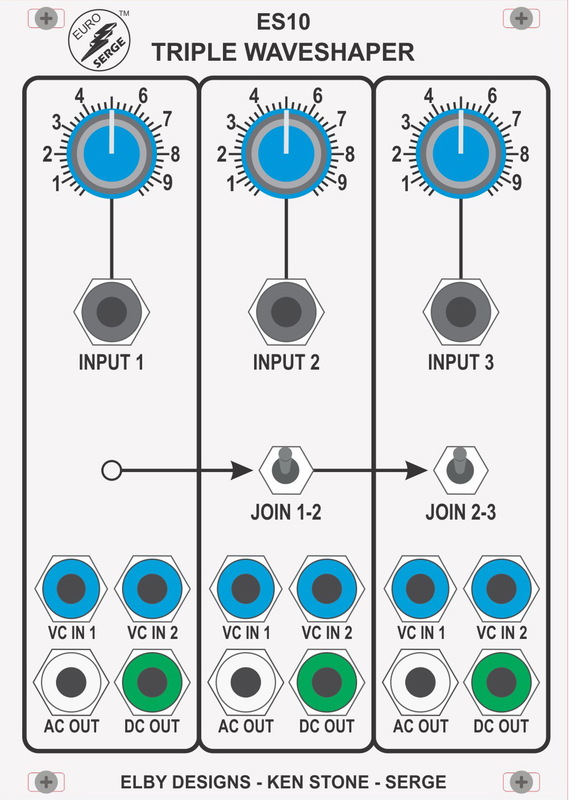 The ES10 is a non-linear modifier which can transform a sawtooth wave into a sine wave. This module incorporates three independent waveshapers for modifying synthesizer waveforms or for processing signals from pre-amplified instruments. Although originally designed as a waveshaper for the ES20 1973 VCO, this module has been found to be an excellent modifier of electronic and acoustic sounds, and is highly recommended for subtle timbral modifications beyond the range of simple oscillator/filter patches.